Drilling Is Loud, But Are Wyoming Officials Listening? 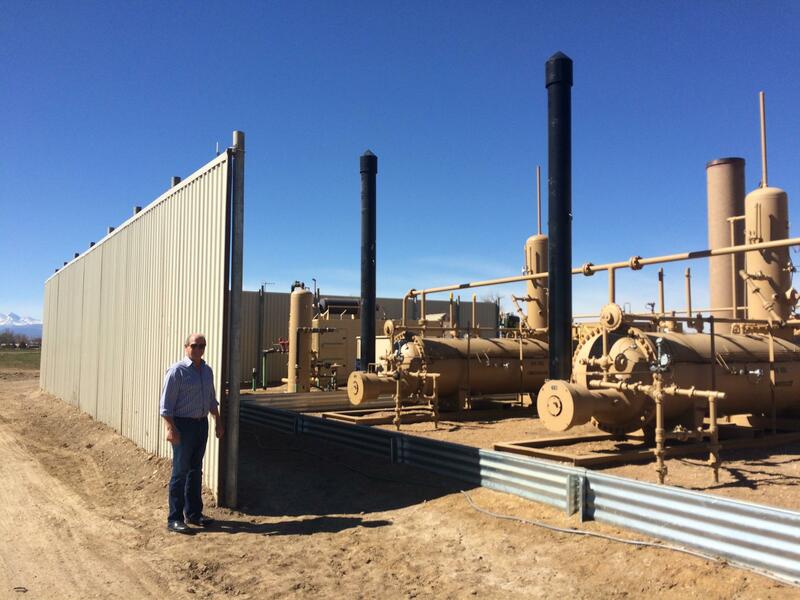 Don Behrens' company specializes in noise control for oil and gas operations, like this production facility in Northern Colorado. When it comes to oil and gas drilling in urban and suburban areas, the question is often ‘how close is too close?’ That’s been the major point of contention in Wyoming, where the Oil and Gas Conservation Commission is currently considering a rule to increase the setback distance between oil and gas wells and houses from 350 to 500 feet. Many homeowners would like it to be even further. Distance is only one part of the issue though, as Brad Brooks would attest. Brooks has become familiar with the sound of drilling in the last six months. He lives in a subdivision east of Cheyenne and last fall, an oil company started drilling about a mile east of his house. That might seem like a long way, but Brooks says sound travels on the prairie. “Last night, about 10:30 p.m., I was woken up out of a dead sleep, and it was actually from the facility, a mile away, and I could hear them revving up and down a diesel engine,” he said. That noise intrusion is part of the reason Brooks was so upset when he found out in January that EOG Resources has filed for permits to drill 26 wells, from four pads, much, much closer to his house—just 840 feet away. “If I can hear them at a mile, I know I’m going to hear them at 840 feet,” he said. According to Brooks, EOG plans to cordon off the wells with a soil berm and stacks of hay bales, but he doesn’t think that will do much—not for the noise, and not for the piercing nighttime lights. 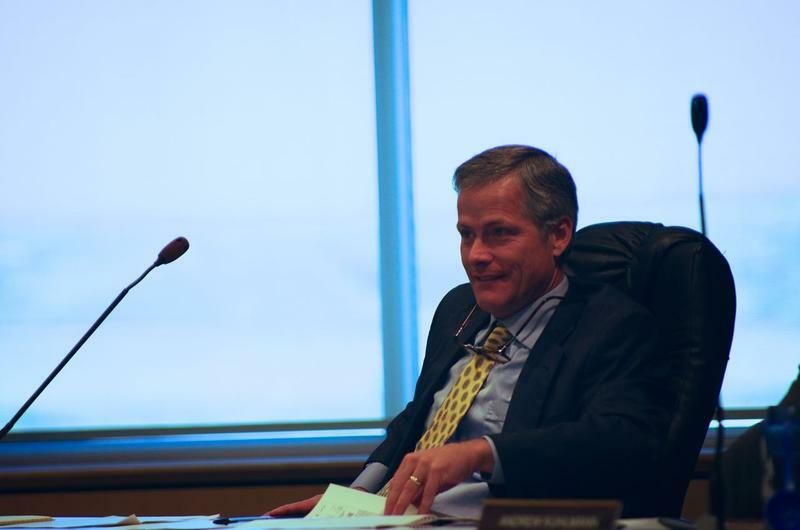 Brooks has asked the Oil and Gas Commission to increase the setback distance to a quarter mile during public meetings, but recognizes that he doesn't have a lot of a sway in this situation. “As the leader of my family I feel helpless, I mean, what do I do?” he implored. 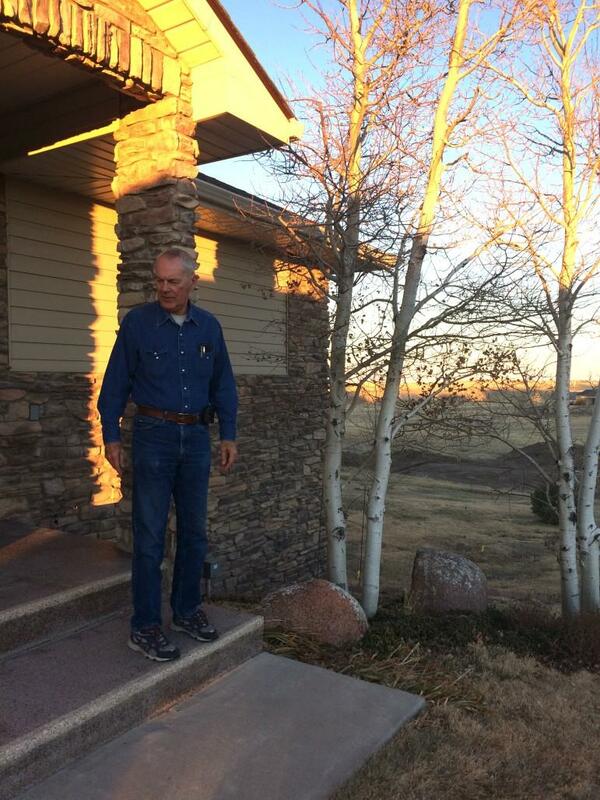 Brooks may not be able to do much, but the oil and gas companies drilling near his house could do a lot, and less than 20 miles away, in Colorado, they have to. That state has strict noise control regulations for oil and gas activities, from drilling to pipeline construction. The view from Chuck Myers driveway includes the oil production facility down the road. Chuck Myers, who lives in Weld County, in northern Colorado, had a drilling rig parked just a couple of hundred feet in front of his house last fall. In fact, Myers says based on his experience with other nearby wells, that didn't have any sound or light barriers, that those things are far more important than distance. “Because even a quarter mile away, if you don’t have these sound barriers or light barriers, you’re still going to be miserable,” he said. Just down the road from Myers house there is a production facility—a big battery of tanks and compressors that capture and store the oil until it’s trucked away. Don Behrens’ company designed and built the permanent sound barrier around the facility, and he says it's designed for a 15 to 20 decibel drop. That means that while inside the sound wall it sounds like a blender and is difficult to talk, outside it's quieter than the cars passing by. 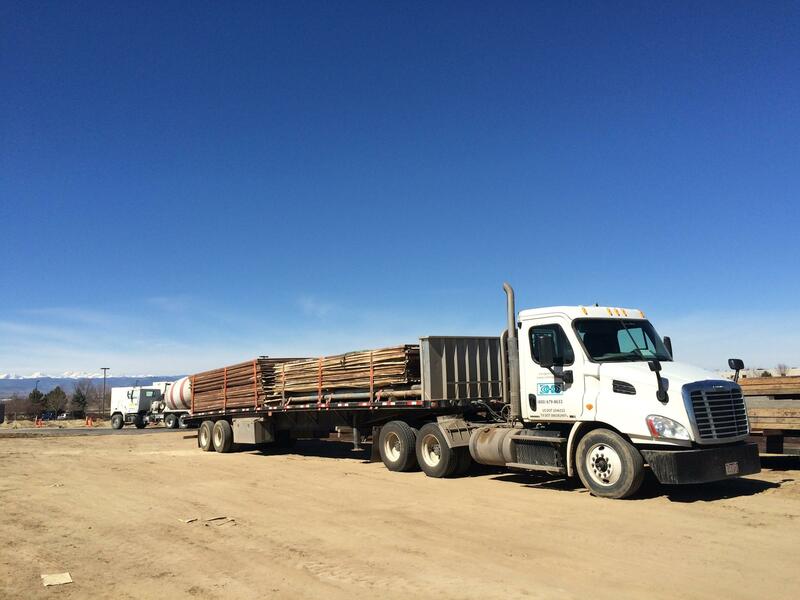 The panels that make up the noise barriers visible around oil and gas wells in Colorado are loaded onto trucks, like this one. 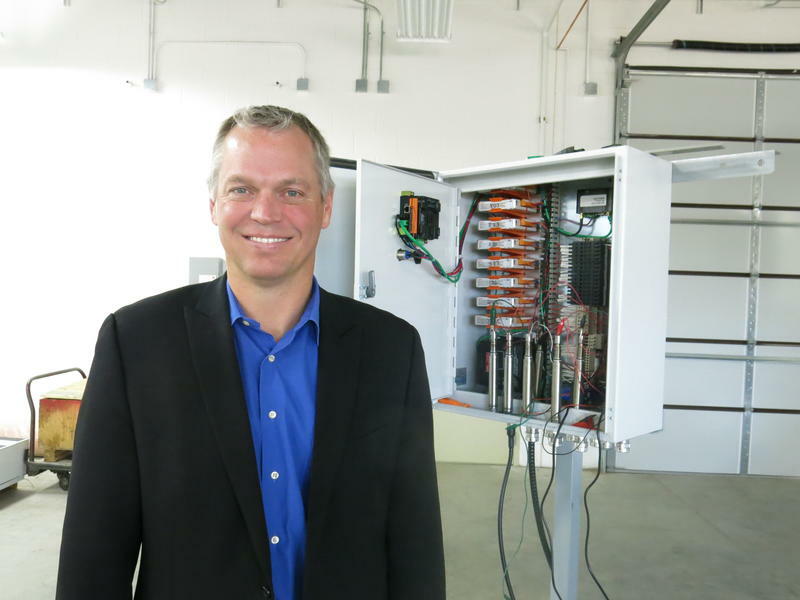 Behrens does a lot of the oil and gas noise control in Northern Colorado and around the country, in Louisiana and Texas and California, and his view is that noise is a relatively simple engineering problem. The question in Wyoming is whether it will be done quietly. The setback proposal the state is considering requires companies to submit plans to the state’s Oil and Gas Supervisor, Mark Watson, detailing how they’re going to control noise and light. Watson says he’ll require barriers—but unlike in Colorado, Wyoming will not mandate what decibel level is allowed near homes, and Watson says it will be up to companies to decide what kind of soundproofing they use. With oil prices now at a six year low, oil companies have been idling hundreds of drilling rigs. For the wells that remain active, the key is getting more out of less...which is tricky because when you drill for oil, only around 5 percent of what’s underground is actually recovered. That’s according to the U.S. Energy Information Administration. Inside Energy’s Leigh Paterson reports on how these days - with prices so low - producers are using technology to chase oil thousands of feet below the earth’s surface. 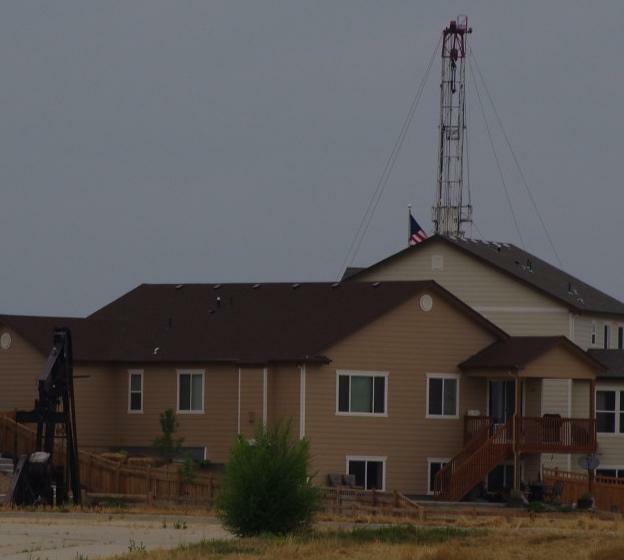 People packed into a public hearing Monday about proposed changes to the rules governing how far oil and gas drilling has to be from homes and schools. 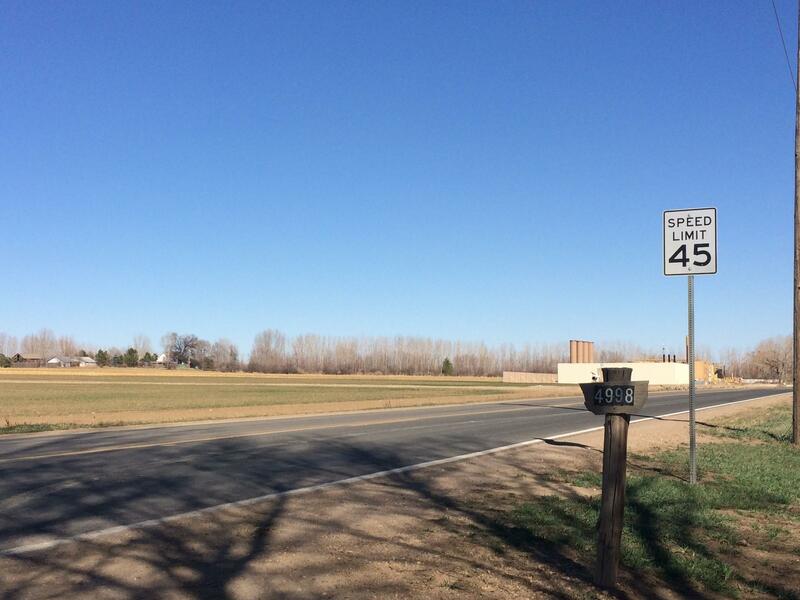 The Oil and Gas Conservation Commission is proposing to increase the "setback" distance from 350 feet to 500 feet. But Chuck White, who lives east of Cheyenne, told the Commission that 500 feet simply isn’t far enough for modern drilling operations. So far, Wyoming has largely managed to avoid the tensions over oil and gas development that have cropped up in other states. It’s not hard to imagine that it’s just a matter of time though, as companies have filed for hundreds of drilling permits in recent months in the vicinity of the state’s largest city, Cheyenne. At an April meeting hosted by the Oil and Gas Conservation Commission, Cathy Moriarty, of Torrington, said landowners needed better protections. A month ago, something happened that many never imagined possible: Voters in Denton, Texas passed a ban on fracking. In New York and even in Colorado, fracking bans weren't particularly shocking. But Texas? As the oil and gas industry navigates this latest energy boom, it’s facing a new and sometimes fraught relationship with the American public.